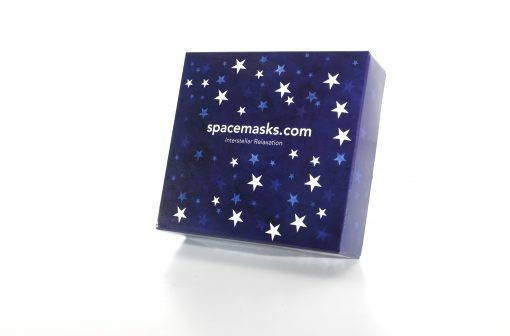 Spacemasks are perfectly formed pouches containing a heavenly self-heating eye mask – capable of whisking you away to a carefree world, transporting you to another dimension, where you can escape the madness of our hectic lifestyles – relieving tiredness, eye strain and many other Earthly tensions. The warmth comes alive as soon as you open it. 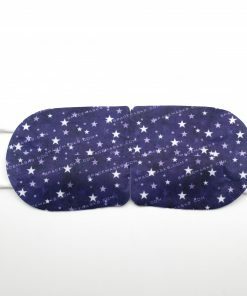 So make sure you're fully reclined and ready for lift–off. 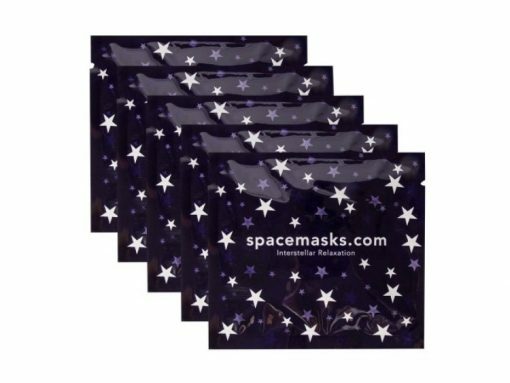 Here at House of BlueBelle we are just a little obsessed with Spacemasks, so much so that we just had to stock them for our customers. 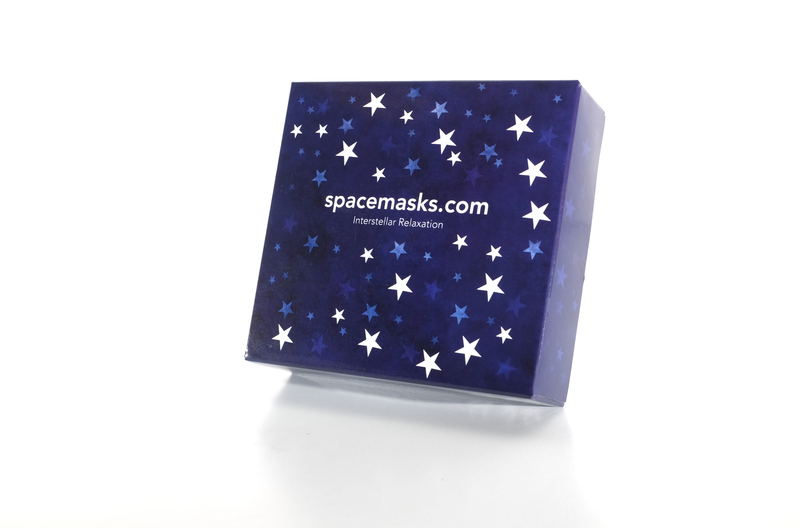 Our overnight bags are never packed without a Spacemask alongside one of our Travel Tin Candles and they are just what we need to fully relax and unwind with at the end of a very long day or week. 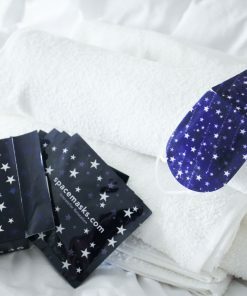 Spacemasks are perfectly formed pouches containing a heavenly self-heating eye mask – capable of whisking you away to a carefree world, transporting you to another dimension, where you can escape the madness of our hectic lifestyles – relieving tiredness, eye strain and many other Earthly tensions. The warmth comes alive as soon as you open it. 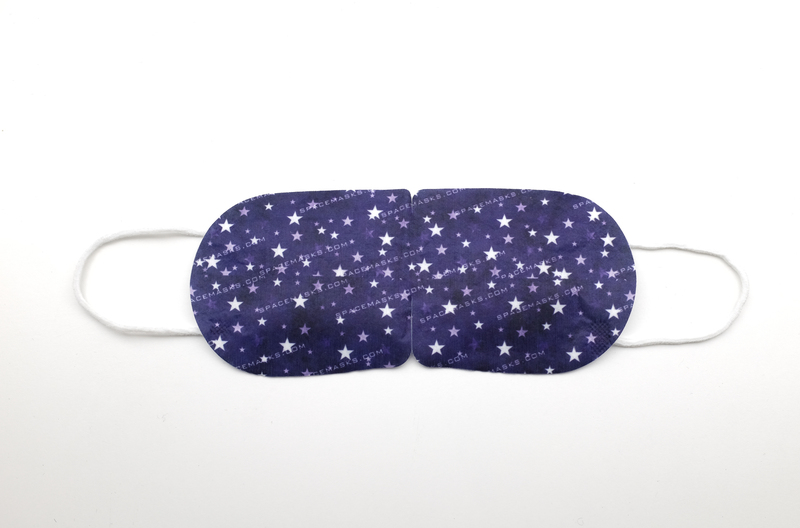 So make sure you’re fully reclined and ready for lift–off. Single-use, individually wrapped eye mask. Simply unfold the mask and position over eyes, loop around the ears and leave. 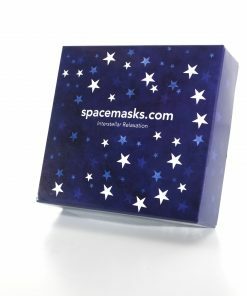 The mask will heat gently for around 15 minutes. Remove mask in your own time. Essence of jasmine, iron powder. 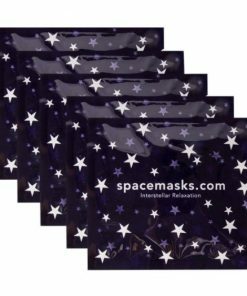 Spacemasks have been seen in Vogue, Tatler, The Sunday Times Style Magazine, Harper’s Bazaar, Grazia, ES Magazine, The Daily Telegraph, Stella Magazine, YOU Magazine, Fabulous Magazine, Junior Magazine, Space mask and Sheerluxe to name but a few publications.